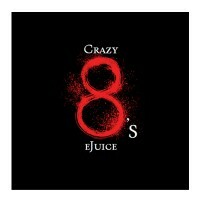 The Crazy8 is a company that provides clothing apparel to children ages 6 months to 14 years of age. Some of its products include jeans, tees, and pajamas for both boys and girls. The company was founded on August 2007 at the San Francisco Bay Area by the Gymboree Group. Gymboree is a specialty retailer which started in 1976. It operates three stores which are Crazy8, Janie & Jack, and Gymboree. To date, there are 680 Gymboree retail stores: 140 Janie & Jack stores, 380 Crazy8 stores, and 160 Gymboree outlets across the United States. The company has around 10,000 workers employed currently. The company provides great perks to its employees. This includes medical, vision, and dental plans, health savings account, bonus program, 401(k) savings plan, educational assistance program, commuter benefits, and discounts to Crazy8 merchandises. People love working with the company because even the environment is fun and productive. It offers a lot of job opportunities for people to advance further in their respective careers. Finally, employees can work on a flexible schedule which is important especially to parents. How old do you have to be to work at Crazy8? The company does not employ applicants who are 15 years old and below. They abide by the rules and regulations concerning the proper treatment of young workers. Bilingual Customer Care and Operations Representative: The Customer Care and Operations Representative is responsible for providing customer service to all the customers of the company. He must receive and return calls regarding product concerns and inquiries. Apart from calls, he must also answer emails appropriately. Assistant Store Manager: The Assistant Store Manager must aid the Store Manager to lead the Store Teams. He must recruit top workers, provide quality customer service, and help gain financial results. Also, the Assistant Store Manager must have excellent oral and written communication skills to market the company’s products to customers. Equipment Operator 1: The Equipment Operator must be able to drive either a forklift or order picker to relocate, stack, and consolidate products. He must observe proper driving procedure to ensure safety within the distribution center. Also, he must be willing to lift heavy boxes, push merchandises, and operate a hand pallet jack to move products. Maintenance Helper: The Maintenance Helper must work hand-in-hand with the Facilities Team to maintain the operation of the distribution center. He must have a basic knowledge of using the mechanical tools available. Finally, he must be able to assist cleaning and provide support for other tasks as requested by the management. Material Handler-Web Department: The Material Handler is in-charge of processing the inventory and fulfilling customer orders. As such, he must have strong customer service and organizational skills. He must also be able to lift heavy merchandises and push roll carts of up to 300 lbs. Receiving Equipment Operator 1: The Receiving Equipment operator must be able to drive and operate a forklift. He is in charge of moving, relocating, consolidating, and counting of the products. Also, he must be able to lift heavy merchandises and be able to check if these are complete. Sales Associate: The Sales Associate must be able to sell the products and provide quality customer service. Apart from this, he must also help maintain the store’s cleanliness and aid in preventing the loss of the company’s assets. Finally, he must be available to work at least 12 hours per week. Sales Lead: The Sales Lead must support the management team to achieve the company’s financial goals. He must be knowledgeable in rendering excellent customer service. Also, he must be able to lead a team to meet sales target and other performance indicators. Seasonal Equipment Operator 2 (Yard Hostler): The Equipment Operator 2 must manage the inspection and receipt of outside facilities such as the yard hostlers, forklifts, top loaders, and others. He must also communicate with other departments to ensure the availability and minimal turn times of the equipment. Store Manager: The Store Manager must lead the Store Teams to drive financial results. He must be able to provide quality customer service, recruit appropriate workers for the business, and follow the rules and by-laws set by the company. Furthermore, he must have excellent communication skills and must be available even on nights or weekends. Interested applicants can submit their resume and wait for the message of the hiring team. They will first review your application and invite you for an interview. You can apply through the official website of the company or by submitting your resume to the nearest Crazy8 store. The company also organizes job fairs from time to time, and you may also pass your application there. If you choose to apply online, you can either fill out a short form or upload your resume to the website. Make sure that you fill out all the items in the form and indicate your shift availability before clicking the submit button. In making your resume, be sure that you provide all the necessary information. Input your personal data, educational background, work experience, and character references. Your phone number and email address must be working so they can contact you easily. Finally, wait for the call of the recruiting team for your interview schedule. During the interview, make sure that you dress appropriately. Answer all of their questions honestly and spontaneously. The company believes that everybody must be respected. They inculcate in the minds of their employees that respect must be given to their customers, co-workers, and their brand. Meanwhile, one news-worthy event is their reward system. With every $1 spent, you can get 1 point. And for every 200 points, you can get $10 reward. You can join in this campaign for free and earn immediately after every purchase. Also, this business is known for kids’ apparel. For years, they have been making trendy clothes for both girls and boys. Some of it are tees, pants, shorts, rompers, and hoodies. Finally, the company organizes a school fundraising campaign. Those interested can just shop clothes for their kids and the school will get 10% from every sale. This will help children with their needs in the school such as books, notepads, pens, and others. 1 How old do you have to be to work at Crazy8?